Restaurants can engage in some pretty sloppy practices, but at least they get inspected at least twice a year. The same isn’t true about the kitchen in your home, and most of us do things that are just as potentially harmful to our health as anything that gets done in a restaurant kitchen. 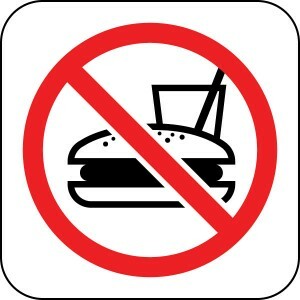 But a new report compiled by the folks at ESPN (never thought I’d cite them on the blog) finds health violations galore at major sporting venues across the country. They found everything from high levels of bacteria in ketchup dispensers to insect parts in drink machines and “mouse excreta” on all sorts of things. Sure, that’s really gross, but the real danger lurks in the out of temperature foods–hot foods that were too cold and cold foods that were too hot. That’s the kind of thing that leads to food poisoning in a hurry. So, when you head out to the ballpark, you might want to stick to items that come prepackaged like a bag of peanuts and a canned or bottled drink. Medical School Debt: A Path Out? It’s no secret that training to become a physician is enormously expensive. For starters you’re looking at at least 8 years of undergraduate and medical education before any money starts coming in. While some people are fortunate enough to receive scholarships or come from families with the financial resources to pay the rather daunting tuition bills each semester, many are not so lucky. For these would-be doctors, educational loans are the default option (no pun intended). Sure, some people want to “save the world” and work in underserved areas, and these people can apply for a position with the National Health Service Corps, wherein the federal government pays a significant portion of their loan debt in exchange for a commitment to work in an area where health professionals are in short supply. But for most medical students, the high paycheck and the prestige associated with entering a specialty field is more attractive than being a “lowly” primary care doc and getting shipped to Nowhere, America just to have less debt to show for it. One reason that people choose high paying specialties is that they face large loan amounts that they have to repay after graduation. We’re talking amounts that average anywhere from $150,000 to $200,000. In many parts of the country, that’s a house. The NHSC system attempts to provide an incentive for physicians to enter primary care and work in an underserved area, but it does nothing to provide disincentives for physicians who choose to pursue a specialty. The same is true of other strategies that aim to restore the primary care-specialist balance by increasing reimbursement rates for primary care docs. But according to an article in the American Journal of Obstetrics and Gynecology profiled in the Wall Street Journal, there’s a new proposal that might work to provide the needed incentives and disincentives. How does the proposal work? Simple. Eliminate tuition and fees at medical schools and then let the medical schools take a cut of the physicians’ income for the first decade after their training is complete. For public medical schools, doctors would hand over 5% of their annual income. For private medical schools, the figure is double that. There are other elements to the proposal, but that’s the key. of which field to enter–if they make more they pay more, if they make less they pay less. Seems fair. But, and I think this is important, it would encourage medical schools to steer students into the highest paying fields to maximize the school’s revenue. What’s more, there’s an issue of the time lag involved. If a school starts a program like this, it will essentially go at least five years before it begins collecting any revenue. That’s a pretty lengthy cash advance. And I don’t know about the percentages, either. Say a year’s tuition and fees at Harvard Medical School is $45,000. Using the 10% figure, a physician would have to earn $450,000 a year (after taxes) for the school to break even. Sure, some doctors make that much money, but most don’t–especially not straight out of their training. For a family practitioner making $100,000 a year, Harvard would only get $10,000–or, conversely, if they wished to break even, the physician would have to pay 45% of his or her income to the school. It seems like a proposal with some promise, but it’s clear that a lot of kinks remain to be straightened out. In making the case for health care reform, inappropriate utilization of emergency rooms is frequently cited as an example of our inefficient system and an important factor behind the staggering cost of U.S. health care. At first, the logic makes sense: emergency rooms have to treat people, so the uninsured often turn there for care, including primary care, which is very expensive to provide in an emergency room, and would be much better treated in a private doctor’s office. Give people access to affordable health insurance, and they will no longer have to head to an emergency room when they get sick, which will translate into less crowded ERs and a lower national health care tab. There’s just one problem: It doesn’t work that way. Opponents of health reform who suggested during the rhetorical back and forth over its passage that universal coverage would lead to long waiting lines were somewhat correct. It isn’t likely that the change will be measurably noticeable at your physician’s office, but it is very likely in the ER waiting room. The reason is simple: people go to the emergency room for a host of reasons that have nothing to do with their insurance status. Among these reasons are low health literacy, a health care system that is often complicated to navigate and inaccessible for people who can’t get off work during typical business hours, and a lack of continuity of care that arises for its host of reasons. Waiting to be seen in the ER is no picnic, but for many people it is a more easily understood process than trying to get a referral to a specialist from their primary care physician–assuming they even have one. So, if we give people insurance, we might actually see an increase in ER visits, because one of the primary reasons people might have avoided going to the ER (cost) will have been largely removed. In fact, we can take a look at Massachusetts, where ER visit rates haven’t dropped despite near-universal coverage as evidence of this. Does that mean that we shouldn’t have bothered to increase insurance coverage? Absolutely not. Having insurance is an important component of reform–it’s just not the only thing that matters. The system needs to be reformed in other ways too. That means focusing on the non-insurance barriers to health care access–things like transportation, translation, on-site child care, after hours appointments, same day appointments, electronic medical records that follow the patient, and so forth. These types of “enabling services” are actually one of the things that the well-respected and high-performing community health centers provide that set them apart from other health care providers. What we need are more intermediaries–places like urgent care centers, and community health centers that can “fill the gaps” between the emergency room and traditional private practices. And all of these people need to be able to talk to each other. Until these types of changes are made to the health care system, people will continue to go to the emergency room for non-emergent conditions–even if they have insurance. We should anticipate that, because if we fail to do so, there are many opponents of health reform who will suggest that the lack of improvement in this single measure is indicative of reform’s failure. The truth is, reduced ER use isn’t always the best indicator of whether or not health reform is working. It can be. It can tell us how well people are able to navigate our system and how well the various parts work together. But it doesn’t reflect well the effects of increased insurance coverage. Harold Pollack, a professor at the University of Chicago, provides a more detailed look at the issue, which is well worth reading. When Will Health Care Enter the 21st Century? During the often heated debate over health care reform, one of the frequent refrains from opponents was that “America has the best health care in the world!”–a kind of patriotic view that the United States is the best at everything despite much evidence to the contrary. But the point is that we pride ourselves on having the most technologically advanced, highest quality health care. If it’s the latest and greatest, we want it here. And yet, it seems, health care is lagging far behind a number of other industries when it comes to integrating modern technology into things. The question becomes: Why is health care holding out? Why don’t we demand more? How can we consider our current system to be the best when we can so readily envision something far superior? I don’t have all the answers for you–though Dr. Dixon offers some in his article–but I think that this is something to ponder. We all want the best for ourselves and our loved ones don’t we? Unfortunately, all too often we fail to get it when it comes to our health care. Fortunately, the Commonwealth Fund has created the website “Why Not the Best?” that allows users to explore a variety of quality indicators for hospitals around the country and compare hospitals to each other and to a variety of national, state, and local benchmarks. I thought I’d compare the hospital in my hometown of Brunswick, the Southeast Georgia Health System, against the two big hospitals where I live now, Duke University Hospital, and the University of North Carolina Hospital. Now, there are a wide variety of measures available on the website–everything from 30-day mortality rates, readmission rates, reimbursement, and other aspects of clinical quality–but in the interest of space, I decided to focus on one simple measure of quality: Patients’ self-reported satisfaction with the care they received. Granted, this might not be the best indicator of quality–it doesn’t indicate whether evidence-based practices were followed, for example–but it is still a useful measure, because hospitals should strive not only to meet clinical targets, but also to make patients comfortable–and I think satisfaction scores can reflect that. In fact, recent research by Thomas Isaac and colleagues supports a link between patient satisfaction and clinical quality measures. Now, where would you rather be admitted if you had a choice? In fairness, both Duke and UNC are academic medical centers, which differ markedly from a community hospital like SGHS. I don’t mean to trivialize that. Still, the numbers don’t lie. If we are to become better consumers and providers of health care services, this level of transparency is sorely needed–and not just for hospitals. Julie Ferguson hosts the latest “dog days of summer” edition of the Health Wonk Review over at the Workers’ Comp Insider blog. Great health policy blogging in this one! Jason Shafrin writes the Healthcare Economist blog and it’s pretty good. The other day, he used coffee brewing to demonstrate the economic principles of optimization, constrained optimization, and public goods. The question is how many scoops of coffee grounds to use when brewing a pot — and Shafrin walks the reader through the competing values of taste and cost (based on price per scoop). Two separate goals might be to maximize taste or to minimize cost. As it turns out, these two goals pull us in opposite directions, because the lowest cost is achieved when we use no coffee at all, which ends up making some pretty flavorless coffee (a.k.a. water). And, on the other hand, the most delicious coffee gets to be expensive. Of course, how much we value taste versus cost tends to depend on whether or not we’re paying the cost directly or indirectly. What might this look like in health care? Well, for starters, it’s worth noting that there is a certain number of inputs that yields the best output. Shafrin finds 9 scoops per pot to yield the best tasting coffee. Beyond this point, the coffee doesn’t continue to taste any better. In fact, it will actually start to taste worse — but will cost us more and more. This is precisely what happens when we use to much medical care. People don’t want to believe it, but there comes a point where additional medical care is likely doing more harm than good and yet we’re still paying for it. What a waste. The other issue is that who’s paying matters. We know that when the individual bears the full cost of their care, they are likely to avoid seeking necessary care. At the same time, if the individual bears none of the cost of their care, they are likely to seek unnecessary care. Insurance is the best mechanism we have devised thus far that spreads the financial risk of illness across large groups of people — allowing them to seek what we hope is an optimal level of care. We aren’t there yet. Some people are drinking hot water while others have coffee they could eat with a spoon. Neither condition is ideal. We devote more than enough resources to making the perfect pot of “health care” coffee large enough for all to enjoy their fill. The problem is simply one of resource allocation.